Based on fiery Sunday sermons by Father Duffy @ OL of Lourdes in Malverne Long Island ! Last weekend you may have heard Msgr. Rahilly or I preach on a difficult subject. I heard from some of you who felt that our words were inappropriate for Mass. We do not often speak in the way that we did last weekend. We understand that it is not always easy to listen to a homily that makes us uncomfortable. But the fact of the matter is that we do not come to Church to be made comfortable. We come to hear and receive the Truth, and the Truth can make us uncomfortable sometimes. provider have to give life-saving care to a baby who survives an abortion attempt. And now abortions can be performed for any reason at any time up to including the day of birth. This is wrong. This is evil. We are better than this. We stand squarely against this new law. We stand with the innocent lives that will be lost. We are proudly pro-life. We do not mean these words to be partisan, harsh, divisive, or just as rhetoric. As a parish, we want our words to have meaning. We seek to actively support any woman who finds herself in a crisis pregnancy. We will assist you. We will provide for you and your child. If you do not want your child, we will find a home for your baby. There is no reason to make this choice. You are not alone. We stand with you and are ready to help you. To Governor Cuomo, our legislature and anyone who supports this bill, I say repent. Convert! This is beyond the pale. You are better than this. Jesus Christ demands more from you. Your own humanity requires more from you. For the sake of your immortal souls, I beg you to repent. Go to confession. Change your ways. And If you don’t, do not present yourself for Holy Communion. 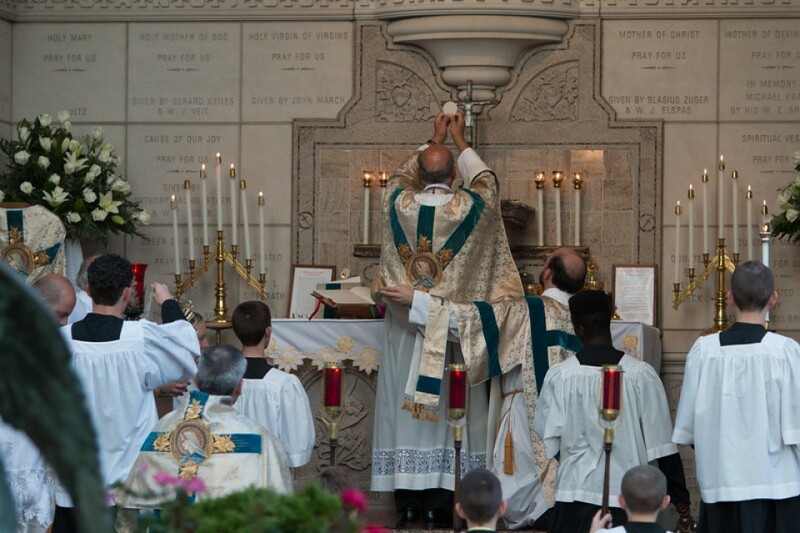 It would be a sacrilege to support such a bill and then consume our Lord in Holy Communion. God forbid! The Church seeks to condemn no one, for the Lord is merciful to all. His mercy is forever enduring. If you have known the pain of abortion, please know how much the Lord loves you. You will never be turned away in the sacrament of Confession. Please come and speak with me. Allow me to extend to you the healing arm of the church. Please join me in praying for our governor, our legislature and our state. Let’s pray for a conversion of hearts from the culture of death to a culture of life. God bless you. God save our state. A ceremony of the new Republican Religion of Reason in Notre Dame, Paris, 1793. The effort to destroy the institutions of the Old Regime and create new, rationale, and just replacements was carried into the world of religion and the Church. The Civil Constitution of the Clergy (July 1790) reorganized the Church, introducing such reforms as the election of priests and, more broadly, the subordination of the Church to the Revolutionary Government. During the Convention the attack on the Church went further into de-Christianization. Churches were renamed temples of reasonor de-sanctifiedand a new religion of reason was introduced by the Convention. This civil religion was based on the belief in a Supreme Being and secular ethics. This print depicts a ceremony in this new civil religion taking place in the famous cathedral of Notre Dame in Paris. The policy of radical religious change was not popular and sometimes fiercely resisted in the counter revolution and in small towns and villages.